Family Friendly Townhomes in Capilano! Creating a new community at Rivervalley Townhomes. Rivervalley Townhomes offers residents of all ages the perfect home with a peaceful community setting. This family friendly townhome has an opportune location near shopping, schools, public transit routes, and downtown Edmonton. 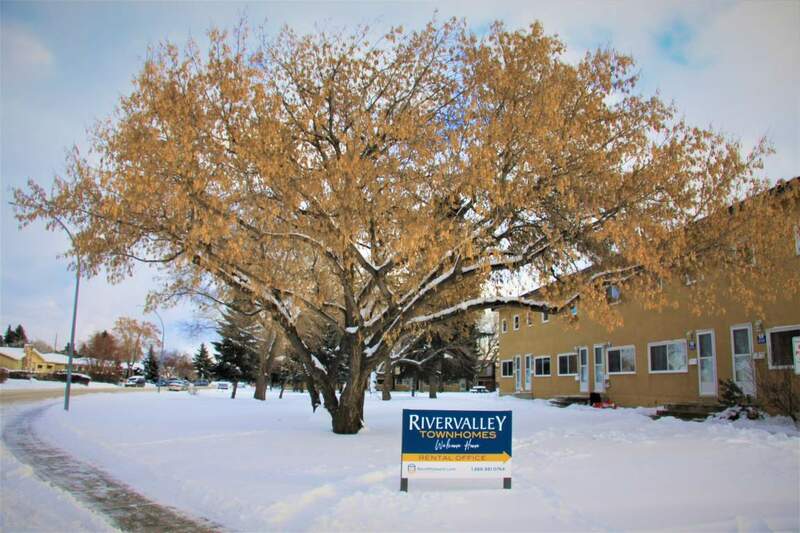 Rivervalley Townhomes can be an outdoor lover's dream with gorgeous trees, parks, a golf course, and skiing nearby. Rivervalley Townhomes is within short walking distance to a variety of businesses and amenities. These include a medicentre, grocery shopping, and a variety of restaurants. Call to book a viewing today. We do accept cats with a small non-refundable pet fee. Sorry, no dogs. We would love the opportunity to show you your new home, please give us a call today! Fenced Yards, 1.5 Bathrooms & Full Basements!